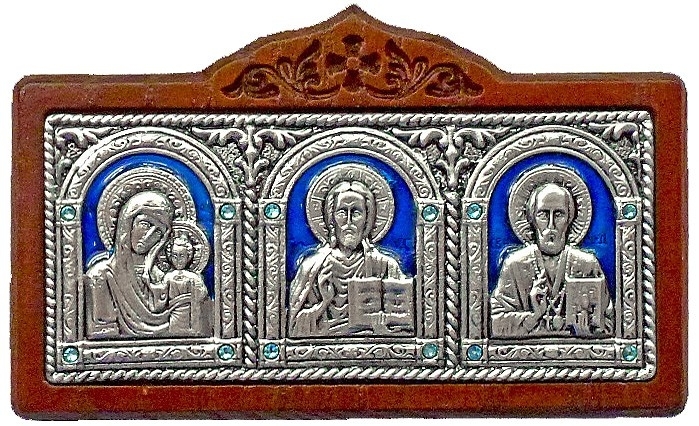 Icons have been a part of Orthodox Christianity right from its earliest days. They are sacred images and may be considered as windows to spirituality. 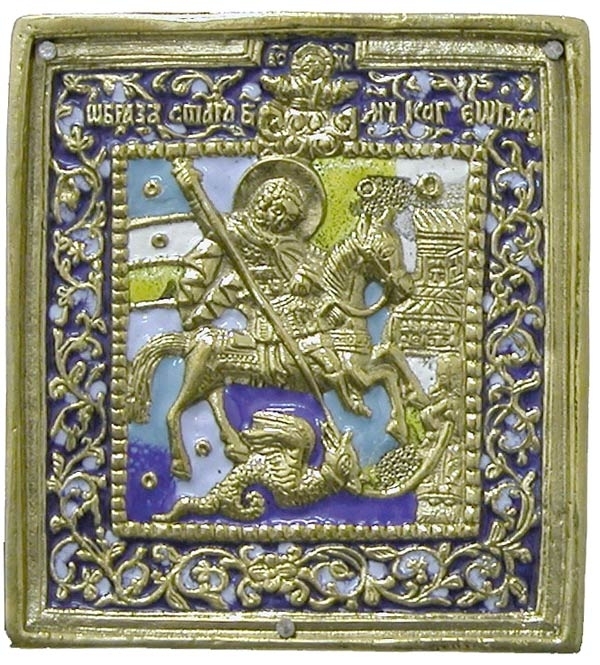 Istok Church Supplies introduces visitors to many beautiful metal religious icons designed by following prescribed methodology that has been handed down the ages. 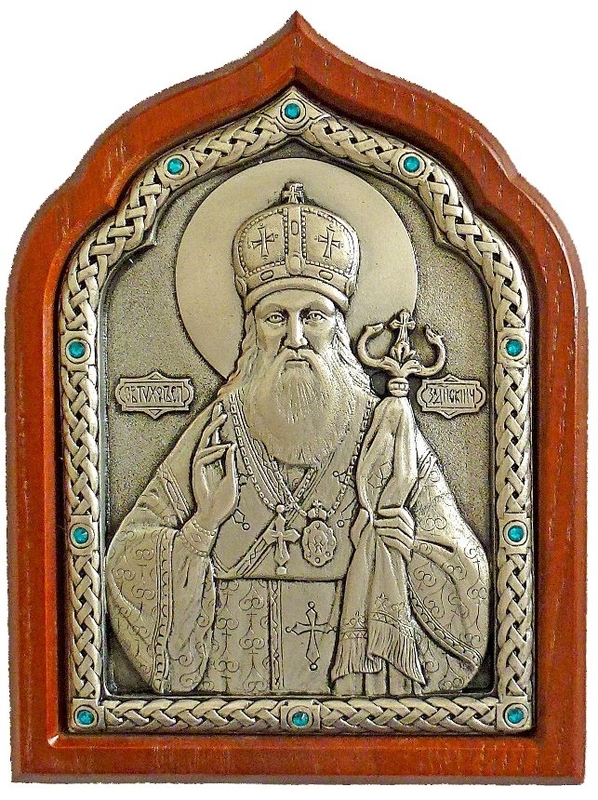 Orthodox Christians do not worship icons but rather venerate them and pray in their presence. 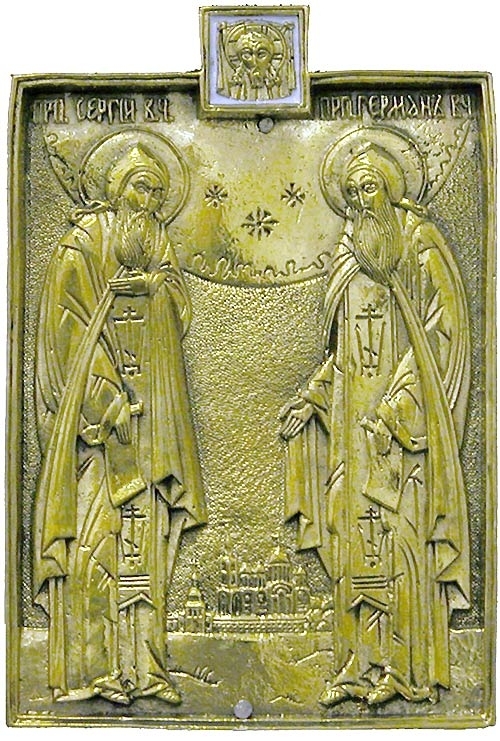 Two dimensional icons can be representations of Christ, the Most Holy Theotokos, Saints, Angels, Biblical parables or any significant event from the history of the Orthodox Church for which believers have utmost respect. 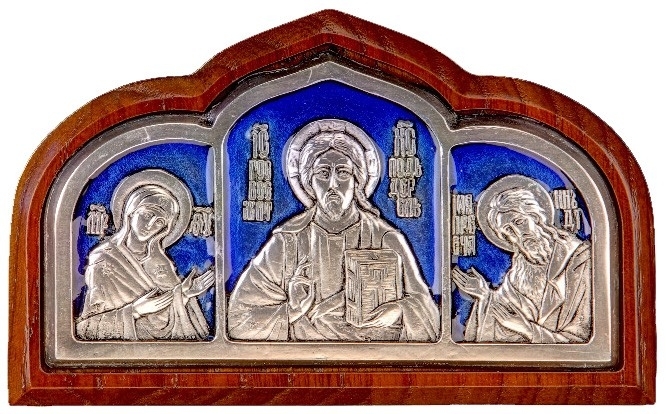 Adorning walls with icons in a church or home is a way of honoring and paying respects for what the icons depict. Every detail in the painting including clothing, hair style and body position should be done in the right way to convey the correct information. 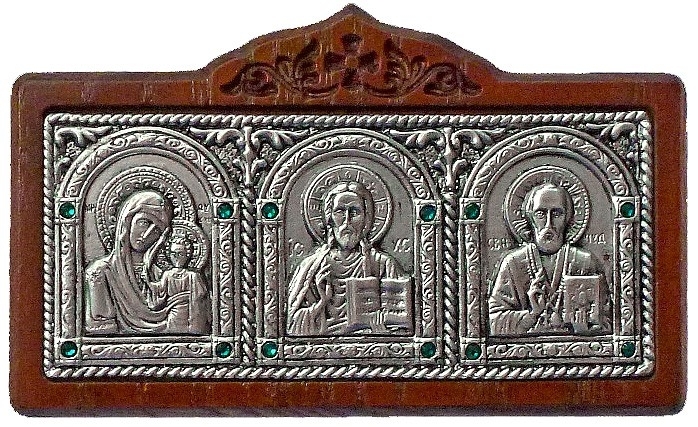 The metal religious icons that Istok Church Supplies offers are made by talented artisans who follow the traditional methods of making them. 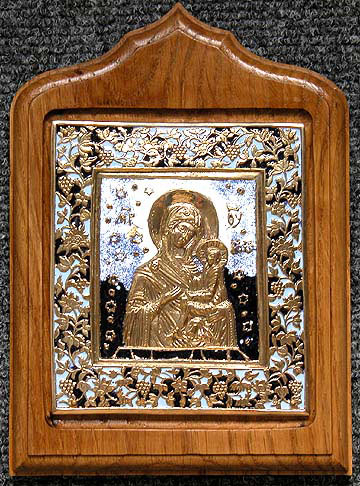 Many of the metal religious icons for Orthodox Churches we offer are made with beautiful frame embellishments. Some of them feature a solid wood frame that adds to their classic appeal. 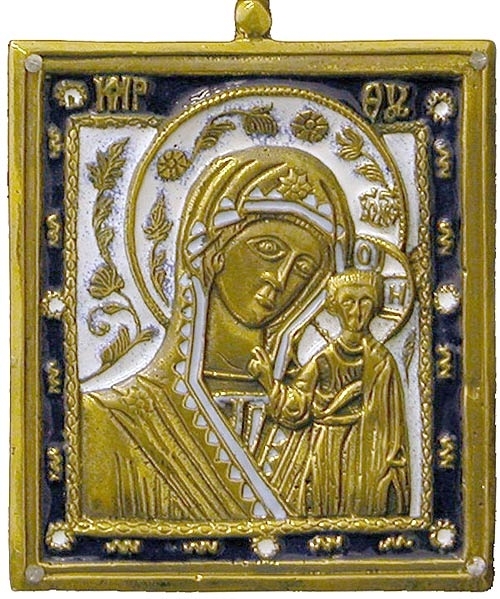 Silver or gold gilding and enamel work add to their beauty. 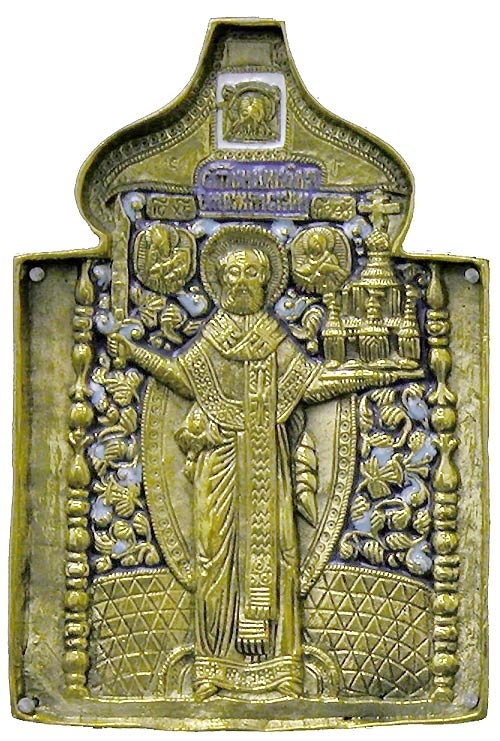 We use only high quality traditional metals including copper and brass for our designs. 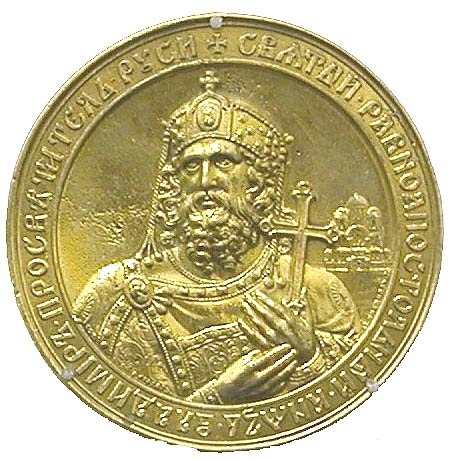 Many of them are hand cast and polished manually for a lustrous sheen. Icons are available in an extensive range of sizes so customers can easily find something that fits their requirements. 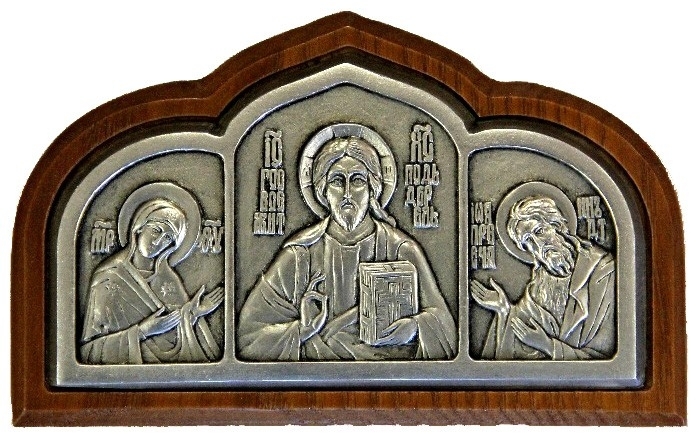 Whether you are looking for a metal religious icon of Christ the Pantocrator or an icon of the Holy Trinity with silver gilding, you will find it in our extensive collection. It doesn’t matter if you are a believer or an art collector, we are sure that you will appreciate the beautiful expressions of our most cherished symbols. I just want to say thank you for all your time and effort put forward in getting our order to us. May God bless all of you each and every day. Thank you Thank you, thank you. My order has been received and I am very pleased with it. Thank you for making such a fine set of vestments for me. Wow! 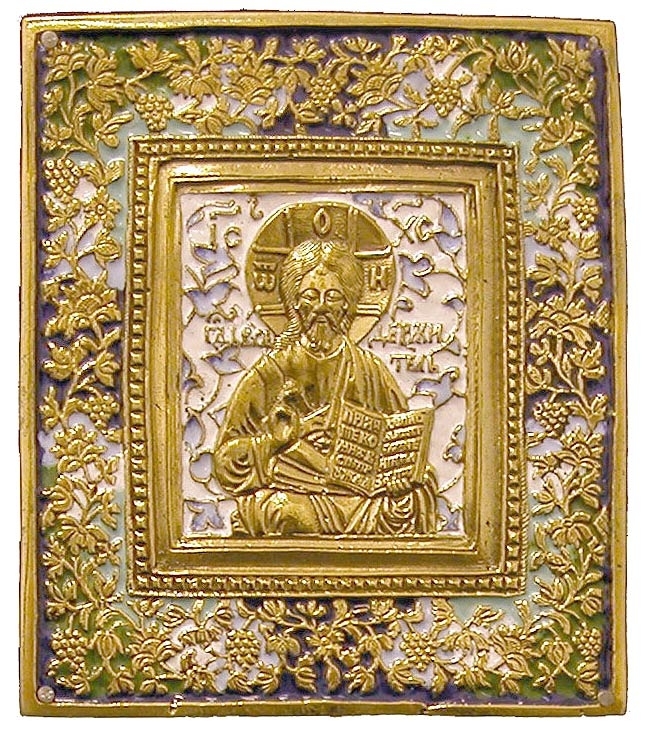 Very impressed with my Greek vestment set. The best compliment I can give in return is a recommendation on my FB page. Thankl you very much.